Can you ride your bike along the pacific coast? for $1Million? – Write with us! Can you ride your bike along the pacific coast? for $1Million? If I ever get to ride the Pacific Coast on a bike, this would be my pick. It’s my BMW RT1150. 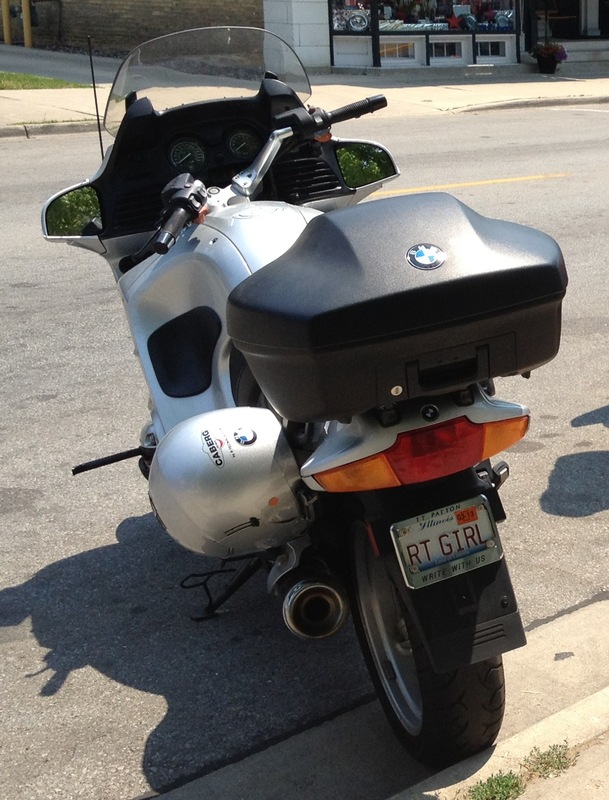 You might have spotted her around town this summer sporting license plates RT GIRL. I say around town because I was so busy she didn’t get to go very many places this year. But now, now don’t feel bad for us. We’ve been on many trips from Canada to New Mexico. And we’re busy planning some interesting adventures for next summer. At least that’s what I told her! When I learned Bob Lee was going to ride his bicycle down the Pacific Coast from Canada to Mexico I paused. I had visions of my brief encounter with the Lake Michigan coast on my bicycle this summer. Here she is all geared up with a water bottle. Yep, she’s over 20 years old. 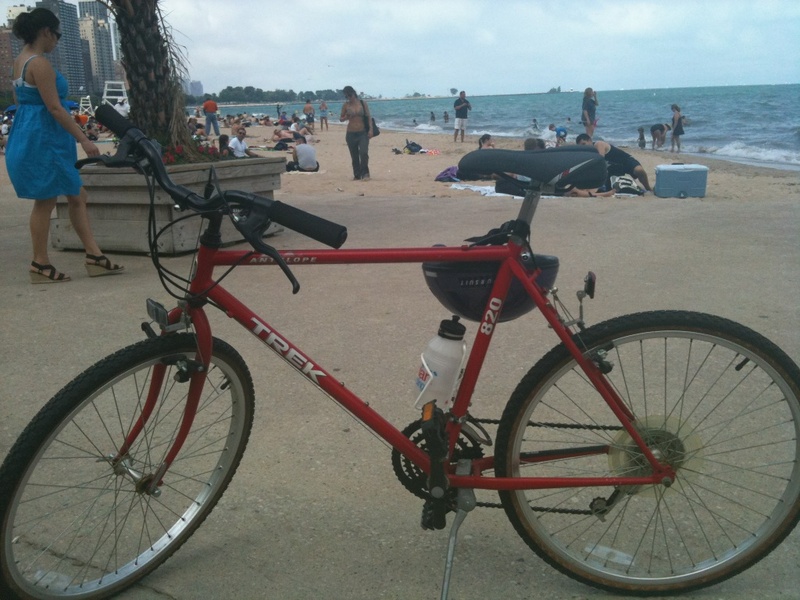 The stress getting from Michigan Avenue to North Avenue beach made me wonder what would be the incentive to ride this bicycle along the pacific coast. Or the incentive for anyone for that matter. Well you have to learn more about Bob Lee and his charitable ride tagged Ridefor3Reasons. Bob has completed his journey but his efforts continue in order to reach his $1Million goal for Cancer, ALS and Hospice. You may not be able to ride the Pacific Coast, but you might be able to help him reach his goal. Bob, I’m proud of you. Good job! And welcome home!